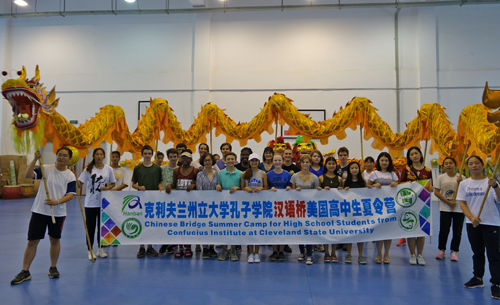 I was much honored to be a chaperone of the Chinese Bridge Summer Camp for High School Students between June 11 to June 25, organized by the Confucius Institute at Cleveland State University and Congresswoman Marcia L. Fudge's Office based in Cleveland Ohio. 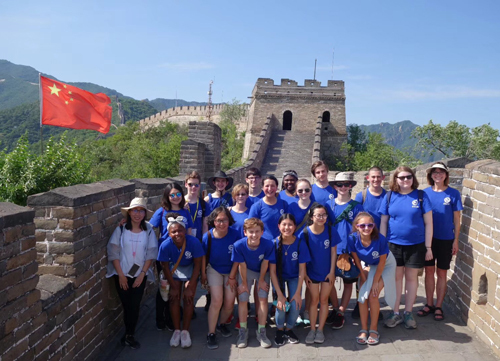 The Chinese Bridge Summer Camp that was held in Chengdu and Beijing during June, 2018 was the perfect blend of learning the culture and sightseeing as our time was well-organized over the 14-day period. 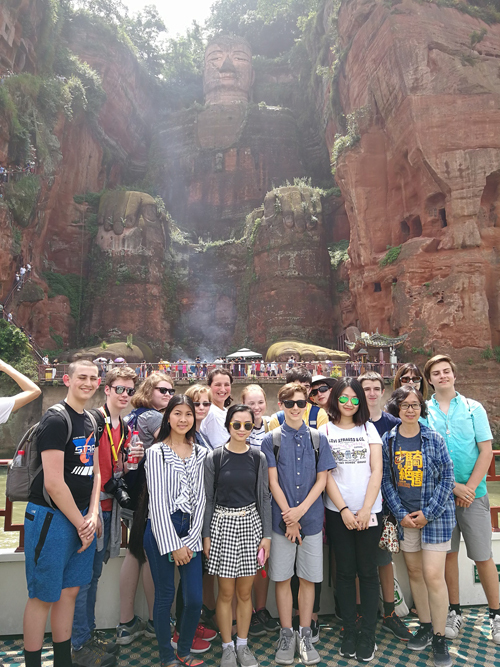 The camp gave the participants the opportunity to be submerged into the culture through both campus life and life through the lens of a tourist. The other chaperones as well as the campus volunteers planned our activities by using an excellent mix of learning the culture and language and sightseeing. As an American adult, I felt the trip was a lifetime opportunity that I would otherwise never have been able to fulfill. 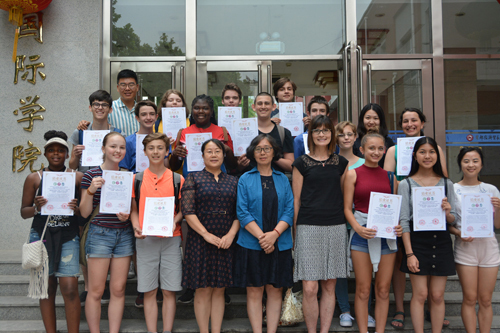 We arrived in Chengdu on the predawn hours of June 13 and went directly to the hotel on the campus of Sichuan Normal University. Our stay at the university was comfortable and we were taken very good care of by the university volunteers, the hotel staff, and the restaurant management. 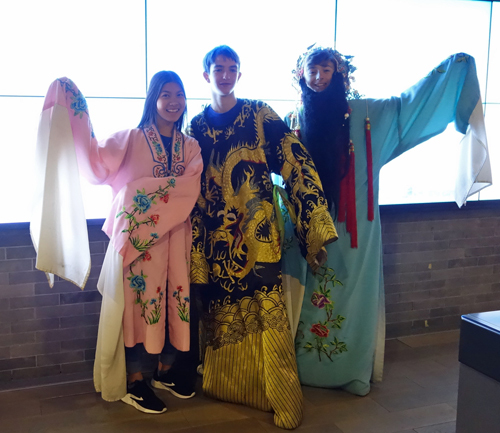 Some of our favorite activities during our time in Chengdu were the Sichuan Opera and shopping at both the ancient streets of Jinli Alley and the Wide and Narrow Alley. On June 20, we left Chengdu by the Chinese High Speed Rail for Beijing. 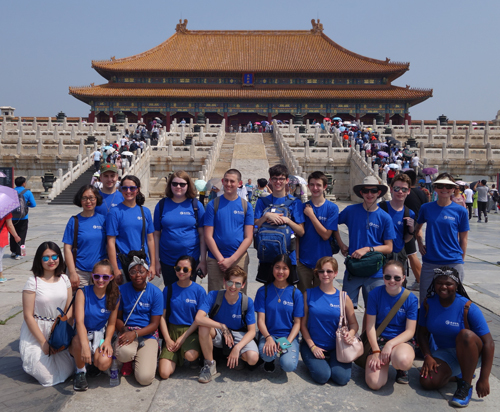 Although our time in Beijing was limited to four and a half days, the group enjoyed many sights and activities. We stayed on the Hongmiao campus of Capital University of Economics and Business (CUEB), which had an active recreation area that the students loved. We visited the Great Wall of China and had fun climbing the seemingly endless steps. 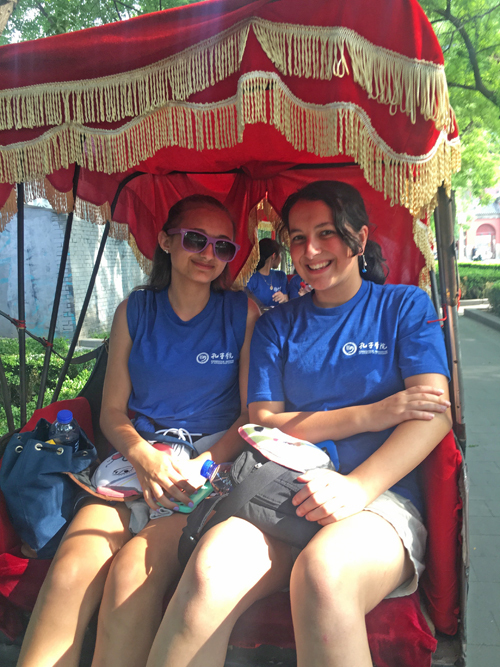 Another favorite was touring the Forbidden City and Drum Tower followed by riding rickshaws through the Hutong of Old Beijing. In addition to having a pleasant ride on the rickshaws, our group was welcomed into a private home and taught how to make dumplings. One favorite worth mentioning was the day we visited the High School Attached to CUEB. We were able to sit in classrooms and participate in learning and teaching. And finally on our last day we went shopping at the Silk Street Mall where the group was given one last chance to shop for gifts and souvenirs. When one has an opportunity to visit a foreign country for two weeks where there is an enormous cultural shift, learning occurs. I had never traveled abroad before so taking a 13-hour flight from Detroit to Beijing and ultimately another 12 hours until we arrived in Chengdu was one of several learning experiences. I have several friends and acquaintances who travel abroad, so I took every opportunity to ask questions in preparing for my trip. However, it was not until I actually made the trip that I learned to overcome my fear of a very long flight. I followed advice that told me to move about the plane every one to two hours. I had multiple devices and peripherals to aid in keeping me distracted. I was eventually able to sleep to pass the time. Once I arrived in China I learned that one does not have to drink water cold to enjoy its benefit. One does not have to sit on a commode that is a chair. One can exist without a car when living with 22 million other people by riding bicycles and quiet, electric motorbikes to work or wherever one needs to go. I also picked up on the culture of eating meals. One does not fill his or her plate and then begin to eat as is done in America. In China, the presentation of food on a large rotating platter is appreciated and one takes a little bit at a time as more and more dishes are put out on the platter. It is similar to what Americans call "family style", but since we were given small plates, it is a continual enjoyment of so many foods in a dainty fashion (except when one's chopsticks drop food). 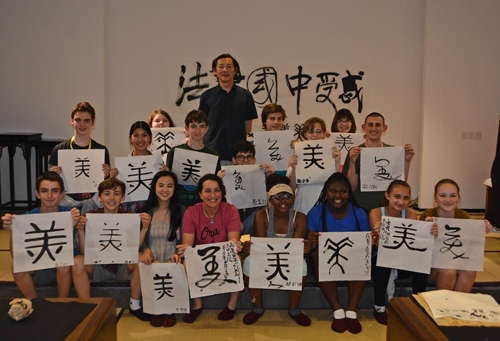 Through the instruction of Mr. Wang Xiaoling, I learned that the art of calligraphy can be a beautiful, relaxing hobby. I learned ways to appreciate the colorful sights and unique sounds of Chinese opera, as taught to us by Zhao Rui. Finally I learned that shopping experiences can be bargain hunting at its very best. 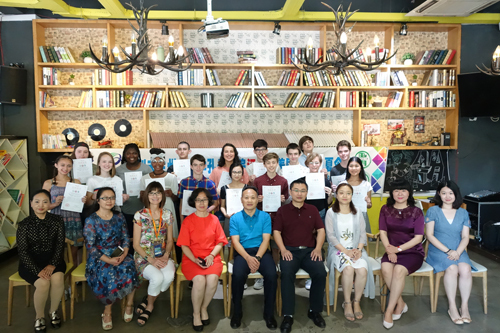 The 16 students who were part of Chinese Bridge Summer Camp were a diverse group of intelligent, adventure-seeking teens from the ages of 13 through 18. 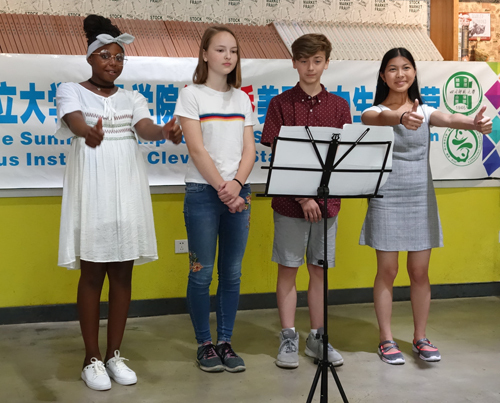 They all had previous Chinese language skills of level one through level three, but the language lessons they participated in were accelerated enough to challenge even the level threes. I was very proud of the manner in which they were engaged in class, but I was even more impressed with the real world language interaction I observed as we were outside the classroom. I witnessed Jonnaya Holmes comfortably speaking to some adults at the park on the campus of Sichuan Normal University. 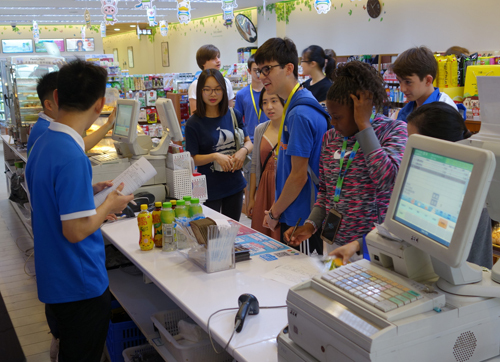 Several other students spoke to merchants at shopping areas when they wanted to negotiate for the price of goods. They seemed to be at ease with putting their new language into practice. 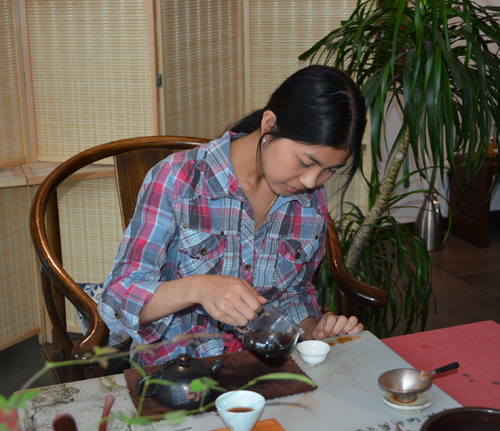 The students also readily tried new cultural activities. 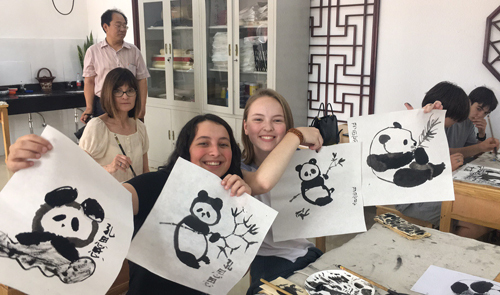 From the traditional dragon and lion dancing to a hands-on learning experience in making dumplings to painting and calligraphy, the students were enthusiastic about learning the culture. They embraced the song and dance that they performed for the Sichuan Normal University closing ceremony to the point of singing it in public and on the bus as we traveled in and around the city. The students also embraced the new and strange food. Except for those who had diet restrictions, I was surprised at how eager the kids tried the various foods, hot and mild. I believe the students also learned to manage their money and to be away from home, having to make decisions that affected their stay. They had to make their money last 14 days. They could talk to their parents when they wanted to, but they often went all day without calling home. One obvious reason was the time difference, but more than that, they were busy having fun. They also learned to interact, help, and form bonds with each other. 10 out of 16 knew someone previously that went on the trip, but after a very short time, you could not tell who knew others beforehand and who did not. When one of the boys became sick on the bus from the heat of the day, I was pleased with how helpful some of the kids were. I would be surprised if the kids ever lost contact with each other via social media and texting. 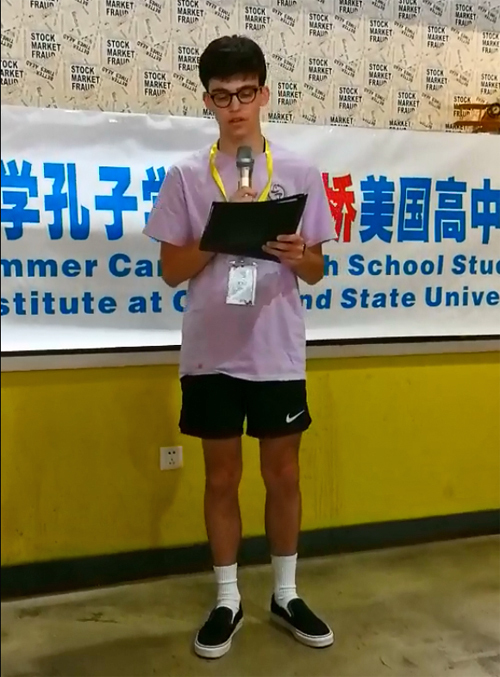 The Chinese Bridge Summer Camp of 2018 was an awesome experience that made me grow in ways of understanding and cherishing a culture of people who collectively make up a significant portion of the world's population. 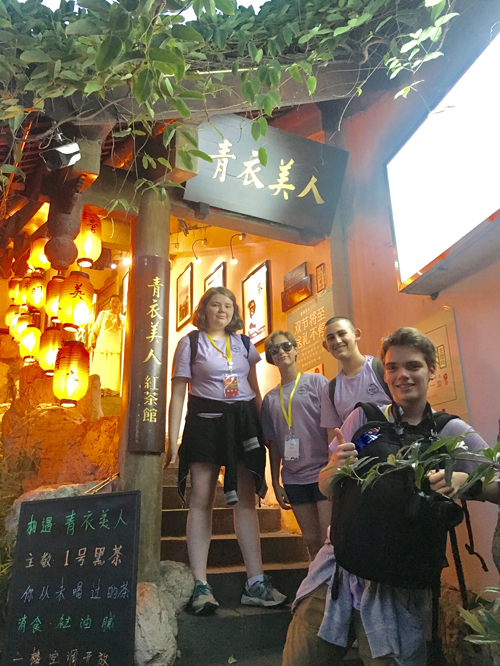 For the students, the experience gave them an intimate understanding of how a culture so far away and different than ours exists. This knowledge will make them compassionate leaders of the future as our two countries continue on the trajectory toward common ground in trade and world peace. I am ever grateful to those who made the trip possible for me to travel as a chaperone. I would encourage other American teachers to consider chaperoning the trip in the future.